There is plenty of self-publishing software and platforms such as Lulu or Blurb out there, but Booki is slightly different: it is a free open source software that allows its users to collaboratively write a book and publish and share it online. I came across it during a pedagogical seminar organized by our university to bring together the diverse different schools and mindsets (ranging from economics, electrical engineering, engineering, science, chemical technology, and arts, design and architecture) to share innovative teaching methods by presenting successful cases, such as the Booki one. Alona Chmilewsky, lecturer in economics and communication at Aalto interested in open knowledge access and creative open source technologies, showcased how she used the software to co-create a book together with her students. 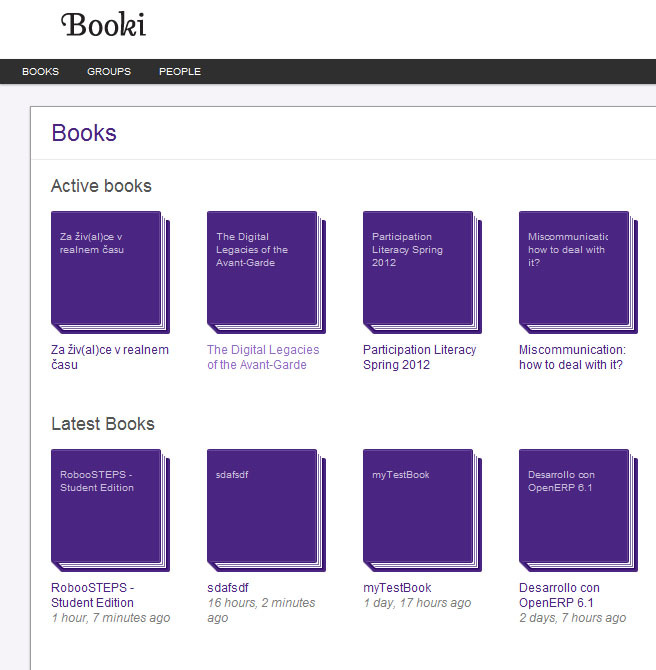 Booki-books can be printed as a pdf on demand and the link can be used as a reference to e.g. prove writing and team work skills (which actually helped one of her students to find a job). Instead of the usual procedure of student work ending up in drawers, course participants all became authors of a book which generated not only the motivation to improve writing and research skills, but also self-confidence and pride. More info can be found here. Enjoy!